Since my birthday is in August and Mother’s Day is in May and I really couldn’t think of anything about today that would make it my very own special day, I asked what that meant. She said it meant that it would be my special day. Because … right. I asked what would happen on my special day. She said there would be decorations and presents and it would be for special day things. When I heard banging and crashing in my room, I came running to the stairs to make sure everything was okay. She promised it was. I asked what she was doing. 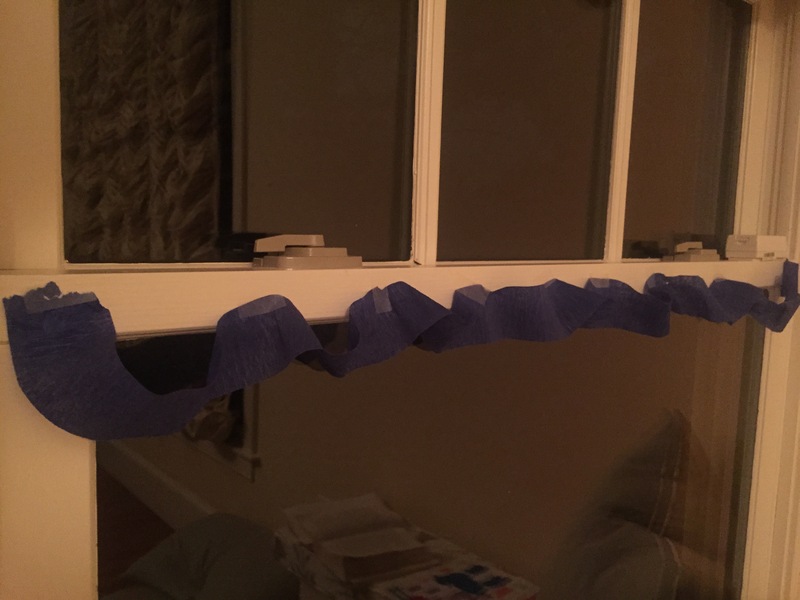 “Putting up the special day streamers,” she said. She looked crestfallen. I immediately felt terrible. I told her again how much I appreciated the celebration, whatever exactly it might be. Later, as I kissed her goodnight, I asked her why she was doing all of this. “Because we appreciate you,” she said. The prosody of the sentence gave it away. It’s a script from something. If I had to put money on it, I’d guess Peppa Pig or Blue’s Clues. It’s the script she chose to share. And to create a day around. And to decorate my room for. That’s everything. It’s even worth ending a sentence (and sentence fragments) with prepositions for. 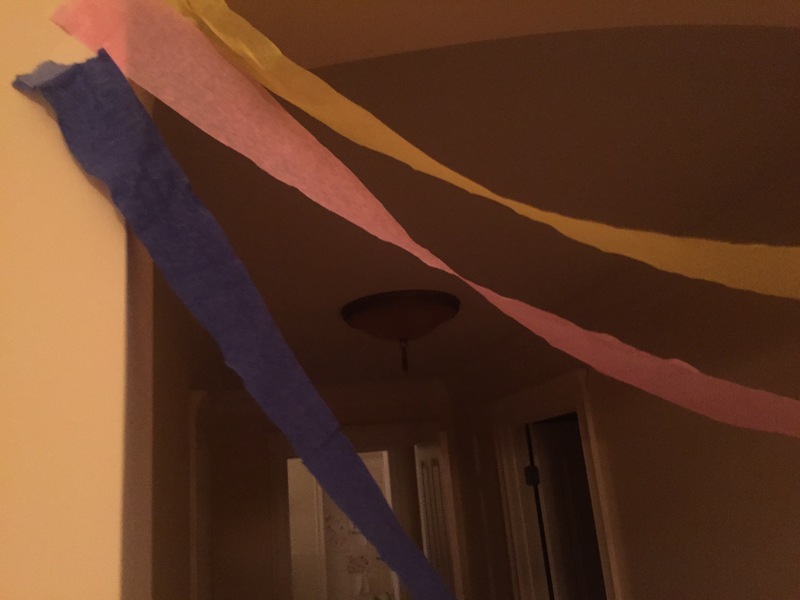 So I woke up this morning to streamers. Because it’s my special day. It’s your special day by one really spectacular kid. I love this. You are one very lucky Mama!